Our Goodyear Barn Lights Blend Original Barn Style With The Latest In LED Technology! 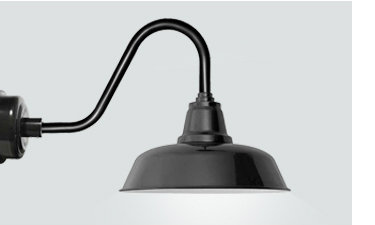 Rich with vintage style, our Goodyear Gooseneck Light represents classic barn light form, with a deep shade that provides truly vivid lighting for both interior lighting and exterior landscape lighting. 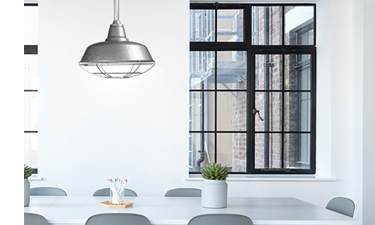 Perfectly suited for any of our 7 gooseneck arm styles, the Goodyear brings the rustic lighting into the 21 st Century with our modern LED bulbs. The Goodyear is available in 10”, 12”, 14”, and 16” sizes for a wide variety of lighting styles. 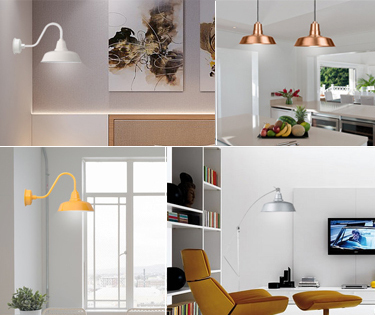 Whether it’s a small shade for smart kitchen lighting or a large shade for true barn lighting, the Goodyear is the perfect gooseneck lamp for your lighting needs! 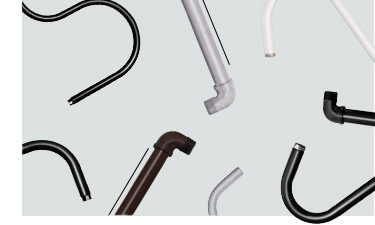 Available finishes include black, white, yellow, vintage green, mahogany bronze, cherry red, and galvanized silver. Our Goodyear barn lights are MET certified for outdoor weather conditions with a high quality steel frame that’s coated with a water-resistant finish. 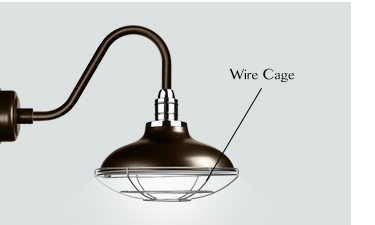 This power coating allows the lamp to resist fading and chipping, preserving the look of your lamp over time. 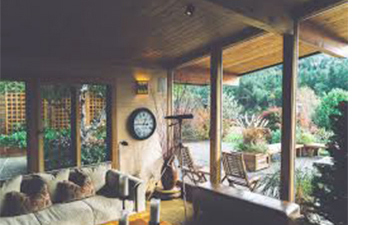 Rain or shine, Cocoweb Barn Lights are built to last. Natural-light LED lighting brings your art to life. The Tru-Slim's shade, only 7/8 of an inch thick, accents art and frames in quiet elegance. A modern update on a timeless form, the LED light highlights pigments and brings out the full radiance of colors on a canvas. 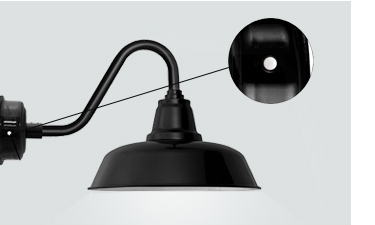 The shade of this fixture may be adjusted in height and rotated for perfect direction of light on your painting. The Tru-Slim uses an array of low-voltage LED nodes to compose artwork in vibrant color, producing a light that’s rated with a Color Rendering Index (CRI) of above 90. This museum-grade illumination brings out the most in reds, yellows, and blues, casting colors in vibrant style. 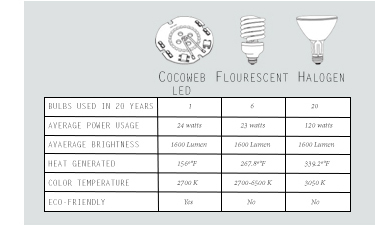 In fact, Cocoweb LEDs shine at a Color Temperature of 2700 Kelvin: a natural yellow glow that’s reminiscent of the early morning sun. Our barn lights are coated with an advanced weatherproof powder paint on a steel frame, allowing them to withstand the elements, no matter how harsh. 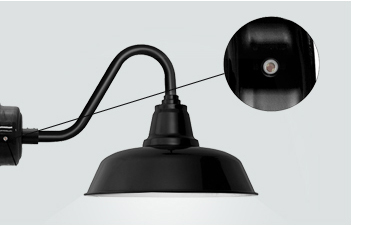 Each light is put to the test and has been rated as an MET listed item for indoor or outdoor use. Feels well-made and I'm definitely happy with this purchase. Five out of five.